Rudnik Nikolay (OUN Battalion) a deputy commander of the 8th company, OUN Battalion. He was on the front since 2014. The soldier was killed by enemy fire, a place is not specified. Guzenko Sergey (57th Mechanized Brigade) a senior sergeant. He was in Donbas since 2014 and survived Illovaysk and Debaltsevo. He was killed by a sniper near Opytne, Donetsk region. Nakonechnyy Ihor (93rd Mechanized Brigade) a senior soldier. He was killed during a skirmish at industrial zone near Avdiivka. Blistavetv Victor (1st Tank Brigade) an officer. He died at the hospital due to wounds received in the area of operation in January 2019. A soldier of 128th Mountain Brigade is missing after a patrol conducted on February 9, 2019. A search group has been set up but there are no results so far. It’s not the first soldier missing in action this year. Just two weeks ago, a soldier of 79th Air Assault Brigade was captured by separatists. A Ukrainian volunteer published a video of ATGM strike on a group of separatists. New information about East Company (formerly known as Eastern Crops), has been found. New insignia, photos, and brief history have been added to our site. 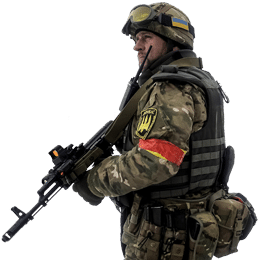 It became known that parts of 93rd Mechanized Brigade serve in the vicinity of Avdiivka and 57th Mechanized Brigade near Donetsk Airport. 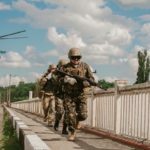 72nd Mechanized Brigade, which in previous months served in Svitlodarsk Bulge, has returned to home base in Bila Tserkva. The 72nd Mechanized Brigade was replaced by 30th Mechanized Brigade and Azov Regiment. The map was updated to reflect these changes.